Women’s History Month, now celebrated annually in the United States, grew out of a weeklong celebration of women’s contributions to culture, history and society organized by the school district of Sonoma, California, in 1979. The idea quickly caught on within communities, schools and organizations across the country. In 1981, the U.S. Congress made it official, passing a resolution establishing Women’s History Week. Six years later, the event was expanded into the entire month of March. USTA recognizes the many women who have made remarkable contributions. They rallied against the odds, have broken through barriers in what was at one time considered a male only sport and have set a true definition of inspiration for all players regardless of gender. I was born in Berkeley, CA. I went to Longfellow elementary school, Burbank Junior (middle) school and graduated from Berkeley high school. After high school, I attended California State University, East Bay and in my senior year left college and became a flight attendant for four years. This gave me the opportunity to travel extensively around the world. Then, changed careers, returned to school and earned a BA degree with an in emphasis early childhood education from Somona State University. When did you began playing tennis? My uncle Bill Jackson introduced me to tennis when I was in college in the 80s. He would play at local tournaments and take his family and myself to the tournaments. He also put tennis tournaments in the Bay Area. From attending those tournaments for three years, that exposure inspired me to put on sold-out 64-draw mixed doubles tennis tournaments for All Seasons Ski Club in Carmel, Pajaro Dunes, and Somona State University. My grandparents Mabel and Leonidas Jackson’s contributions to civil rights in Berkeley and Oakland are known to be legendary. During the 40s, my grandmother tired to diversify tennis at San Pablo Park in Berkeley. For me to have the opportunity to have a 10 and Under and Teen tennis programs on at San Pablo Park tennis courts and receive support not only from the City of Berkeley Parks and Recreation but the USTA NorCal Section is like fulfilling my dream of offering low cost tennis instruction to children from diverse backgrounds. Did you provide all the initial funding for the program? No. The initial funding for the tennis program came from the USTA Northern California Section. They gave me a grant for $500 that purchased equipment to start the Cheri King Tennis Program which has evolved to become the Berkeley National Junior Tennis League. Shortly thereafter, National gave the Berkeley NJTL a $10,000 grant to support offering two elementary schools tennis practice sessions for a year. The cost for the Berkeley NJTL After School program (BNJTL) is $100 for 2-hr monthly tennis practice sessions on Monday, Wednesday and Fridays in the Winter, Fall, Spring, and a Summer program at San Pablo Park tennis courts. The program is designed for children who are unable to pay that high cost to learn the game of tennis and partial scholarships are given. The program size ranges from 12 to 15 juniors per practice session. Has your work in tennis been self-supporting or? Yes. Because I looked at the income streams in tennis--Tournament Director, PTR Certified 10 and Under Certificate, and a Referee, the programs offered make me self-supporting. I am also a volunteer at the Bank of the West Tournament. This experience has given me the ability of to get hands-on-experience in the mechanics of a tournament. Do you do other work and if so, in what field? Academic Program Director for the After school tennis program at Mills College Tournament Director, NorCal Section Referee, and a PTR 12 & Under Certified coach. Sandra Walle remembers walking wide-eyed into the array of possible clubs and organizations at high school freshman orientation. As she made my way through the maze of tables, she gravitated toward a group representing the tennis team. Eager to become involved she decided to try out for tennis. She naively believed that the sport would be simple. Just pick the racquet, hit the ball, and immediately transform into a tennis champion, right? She quickly discovered that there was more to the sport than grunting like the professionals at Wimbledon. With no aspirations of playing professionally or at the collegiate level, she came to value the strong work ethic the tennis experience has taught her. Tennis player Pancho Gonzalez once said “The greatest champions are always vicious competitors” and those are inspiring words to live by. Through diligent practice, she not only improved, but also inspiring her teammates to work hard for an elusive dream—competing in the section championships. The hard work paid off and they compete in the CIF Sac-Joaquin Section Championships, an achievement that had not been accomplished in over 17 years. Her inspiration and encouragement in tennis and life was Pancho Gonzalez. As she puts it, “Pancho Gonzalez faced much discrimination during the time period because of his ethnicity. Pancho Gonzalez’s story inspires the idea of having perseverance and dedication.” As an ethnic minority, she too faced obstacles and challenges in her pursuit of becoming a better athlete and of obtaining an education. Sandra’s experience prompted her to act as Gonzalez did, by advocating for community members through service projects. 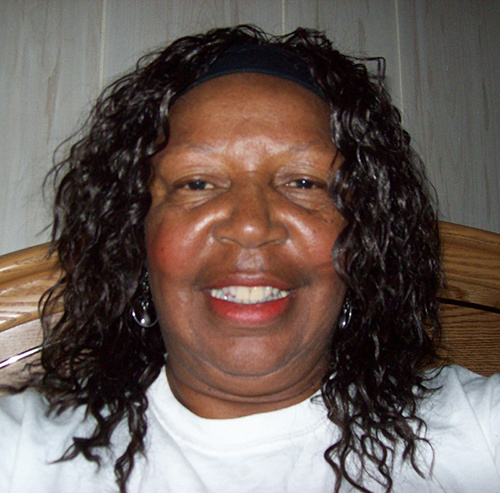 With the support of family, she created a nonprofit organization called The Family Sports Center. By combining training in athletics and academic support, they teach students of primarily low income families, the self confidence and self discipline necessary to succeed and achieve their goals. Gonzalez’s story of adversity is an inspiration to live a more fulfilling life and to always pursue your dreams and aspirations. 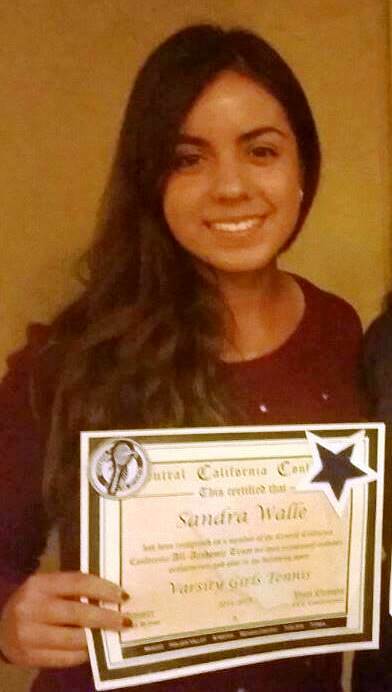 Sandra is the recipient of the 2015 Pancho Gonzalez College Scholarship. She is majoring in Science at Berkeley University.